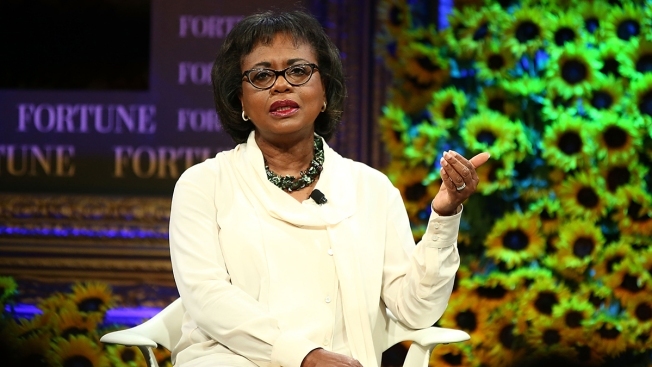 Anita Hill speaks onstage at the Fortune Most Powerful Women Summit 2016 at Ritz-Carlton Laguna Niguel on Oct. 19, 2016, in Dana Point, California. Anita Hill will be in Connecticut today to speak for this year’s Martin Luther King Jr. Living Legacy Convocation at the Jorgensen Center for the Performing Arts at UConn in Storrs. Hill, a professor of policy, law and women's studies at Brandeis University, has devoted her career to fostering civil rights and social change. She brought the concept of sexual harassment to national consciousness in 1991 when she testified during Clarence Thomas' Supreme Court confirmation hearings.